In one camp, we have the hydrating lipsticks. These feel good on the lips, and they usually do the work of a balm as well. So say good-bye to dry, cracked lips, and get used to the feeling of endless moisture. The downside is that these moisturizing lipsticks wipe off with every meal. If you put it on in the morning, it may not make it until lunchtime. Re-application is key, but for those of us who don't mind swiping on a fresh coat every few hours, these lipsticks can and will become your soul mate. With its unique lip-shaped heart in the middle to provide endless hydration, this product is truly the perfect hybrid between a lip balm and a lipstick. 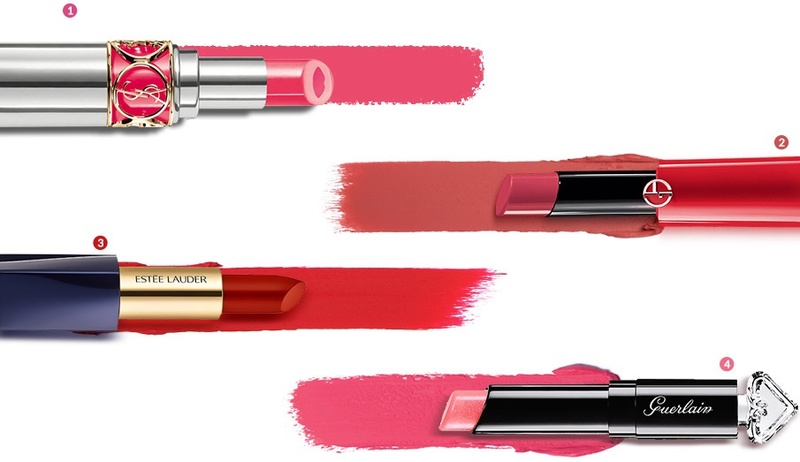 The featherweight texture on this lipstick means you'll feel like you're not wearing a thing. 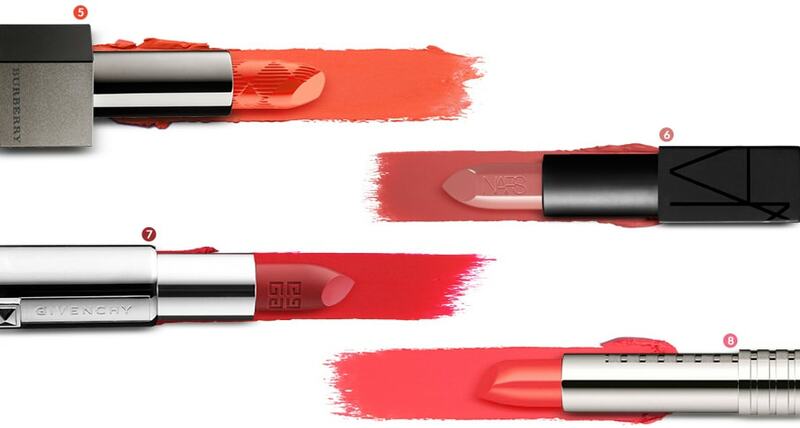 Plus, the intense, high-shine finish will make lips look perfectly kissable. Fall in love with the ultra-creamy texture that no other lipstick can match. Not only is it super easy to apply in a single swipe, but it also offers all-day comfort. Formulated with fine oils that will make lips soft and supple, this lipstick makes moisture a priority. We love the fruity flavours, and the huge shade range makes it hard to not buy these in multiples. Ah, longwear. For those who want a lipstick that stays put for hours, these are for you. Most have a chic semi-matte to matte finish which will hold up even after kisses, a glass of wine, and a few canapés. The downside? After a few hours they might make your lips feel like the Sahara desert. Flaking and cracking is also not out of the question. You can wear a balm underneath, but that might make the color slip off easier. We suggest using these when staying utterly flawless is paramount. When you're waiting in line for an interview, or getting ready to do a major presentation, these will be a godsend. Matte lipsticks are all the rage, and this is one of our favouites. With its weightless texture and its super-pigmented formula, it does all the work of making your fashion statement for you. Love high-impact colour? Try these babies on for size. From bright corals to deep wines, the amazing colour selection on offer means there's something for everyone. We love how the genuine leather case makes it feel so luxe to the touch. Grab this if you're looking for a semi-matte finish paired with a dewy sensation. Zero feathering. Shiny finish. Stays intense for hours. What else could we ask for? We love the "just-applied" look this delivers and the way it's subtly shiny for that million-dollar smile.